This high QUALITY official manual for FERRARI 1992-2005 360 MODENA/SPIDER is 100 percents COMPLETE and INTACT, no MISSING, CORRUPT pages, sections to freak you out! This manual is exactly as described. It is in the cross-platform PDF document format so that it works like a charm on all kinds of devices. 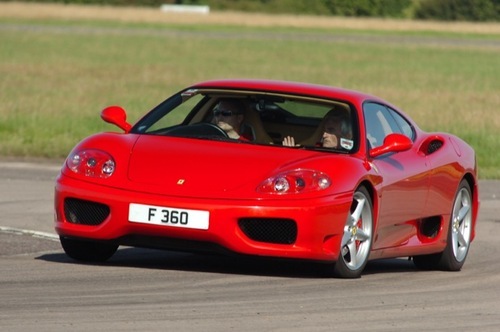 This highly detailed workshop service repair manual for download contains virtually everything you will ever need to repair, maintain, rebuild, refurbish or restore Your FERRARI 1992-2005 360 MODENA/SPIDER (ALL MODELS ARE COVERED). All diagnostic and repair procedures and gives you access to the same information that professional technicians and mechanics have. You can view and print out the complete repair procedures with this workshop service repair manual Download - you do not need to be skilled with a computer. Detach the delivery pipe to the pump from the tank and the back-flow pipe from the steering box. Unscrew the screws (1) fastening the dividing panel and remove it together with the support brackets. The coil used for cooling the system's oil is fixed onto the water radiator, on the left side of the car. II volante e regolabile sia in altezza che in profondata. Sbloccare la leva (A) tirandola verso il volante. Regolare la posizione del volante. Bloccare ii volante spingendo la leva (A) fino alla posizione iniziale. Non effettuare la regolazione del volante con vettura in movimento. Per utilizzare l'avvisatore acustico premere sulle razze laterali, in corrispondenza del simbolo delle trombe (B). The steering wheel's height and depth are both adjustable. Release lever (A) by pulling it towards the steering wheel. Adjust the steering wheel's position. Lock the steering wheel by pushing the lever (A) to its initial position. Never adjust the steering wheel while the vehicle is moving. To use the horn, press the trumpet symbol (B) on the lateral spokes. Always make sure that the ignition key is in STOP position, before disassembling or replacing AIRBAG parts. We also recommend to switch the battery to the OFF position. Detach the connection ( 1) and the fasten ground connector (2 ) of the horns control cable. Unscrew the fastening screws (3) and remove the steering wheel from the hub. Fit the steering wheel on the hub securing it with the screws (3 ). Tighten the screws to the 6+7 Nm torque. This file is sold by zfs, an independent seller on Tradebit.